Criterion Collection has put together a definitive collection of Olympic films to release on Blu-ray and DVD. The collection brings a century’s worth of Olympic films with fifty-three movies and forty-one editions of the Olympic Summer and Winter Games, containing dozens of new 4k restorations overseen by the International Olympic Committee. 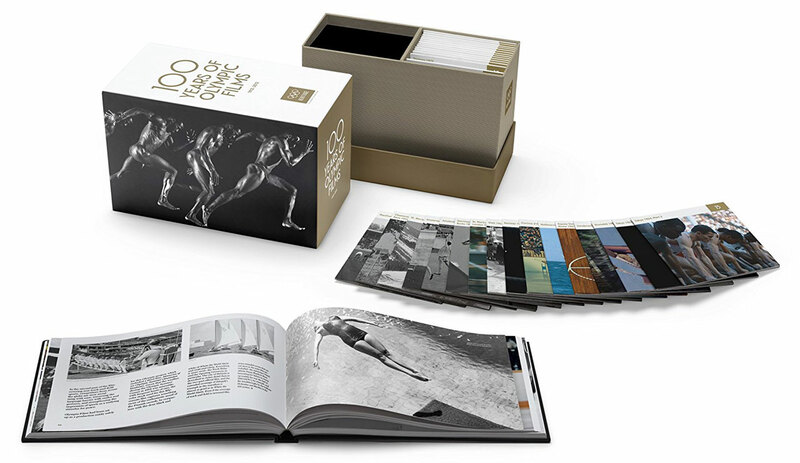 On Blu-ray, 100 Years of Olympic Films consists of thirty-two discs in a beautifully packaged box set with a 216-page hardcover book with photographs, a short history of the restoration project, and notes on the films from historian Peter Cowie. The DVD collection contains forty-three discs along with the collectible book. As well as landmark 4k restorations of films such as Tokyo Olympiad (1965) and Visions of Eight (1973), the collection features new music scores written specifically for the included silent films. On Blu-ray, pre-orders of 100 Years of Olympic Films are currently selling for $260 (List: $399) while the DVD edition is selling for $375 (List: $399). Scroll down below for updated Amazon pricing, and remember Amazon charges the lowest price upon release date.